My 13 year old son has been bullied at school for over a year. I have gone to the principal, superintendent, and school board. A log was kept every time my son was harassed. The school talked with the other boys parents. They told the school that their son could do whatever he wanted and they don't care who gets hurt. The son acts like the mother. The mother has bullied the school coaches on several occasions and the school has talked to her about it, but these people have no respect for authority. I am so lost in what to do. How do you stop people like this? I want to home school my son, but he wants to stay in school, even though he is scared to go. My son is a great kid. 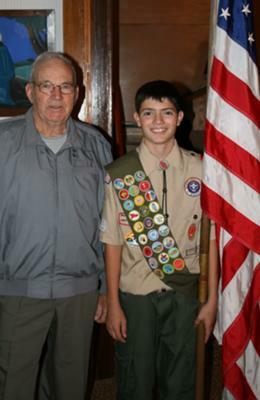 He gets good grades, is great at sports, he is active in his church, does volunteer work at the local food bank and became an Eagle Scout at age 13. But he is severely depressed. Does anyone have any answers for me? My heart breaks for my son. Unfortunately bullying is the cruel reality of life we all can experience. Firstly, I was bullied severely at school and work it's just something I always have to contend with all my life. I have severe depression, social phobia, agoraphobia and post traumatic stress disorder all after effects of bullying. I can no longer work and socially mix properly. I have seen many health professionals, counseling, psychiatrists, psychologist, psychotherapy and CBT which is effective for most people, except for me. But please! let me give you some advise which I never realized until it was to late for me emotionally, but I could help your son and make a difference for him. Never ignore the issue and push it under the carpet, your son is obviously not emotionally strong enough to cope with this harassment at school and the depression he has developed is testimony to that assumption. If not treated now it will grow worse for him in the long run. First of all, if the bullying is not sorted out with the head teacher at the school and not taken seriously enough. Seek legal advise or transfer him to another school. I no he doesn't wont this, but believe you me it will save his mental health long term. Talking to the bullies parents rarely works anyway, due to the fact on the different types of personalities they posses, social background, diplomatic reasoning and emotional intelligence traits. Remember, your son going to school and ignoring the bullies will not work in the slightest. Why you ask? The psychological and sociological research shows quite clearly that, most bullies are looking for an emotional reaction and response from their victim, ignoring only intensifies them to continue their cruel insults. First of all, I would highly recommend enrolling your son in martial arts classes. Learning to defend himself can help him feel safer and build his self esteem. I was a battered wife years ago, and the karate classes I took in college saved my life. When the police arrested my ex, he could barely walk! The detectives were amazed. If the school isn't doing enough about the bullying, get the police involved. Attacking others isn't just wrong, it's a crime. Tell the police that you want to file assault and battery charges. The bully should be treated like the criminal he is. Be persistent. If the bully gets off easy the first time and does it again, have him arrested again. If his parents find out that it costs them a lot of money in legal fees to have a bully for a son, they may change their attitude about it being ok. They will probably get tired of the hassle. And if they don't show up in court with their son, they could end up going to jail themselves.